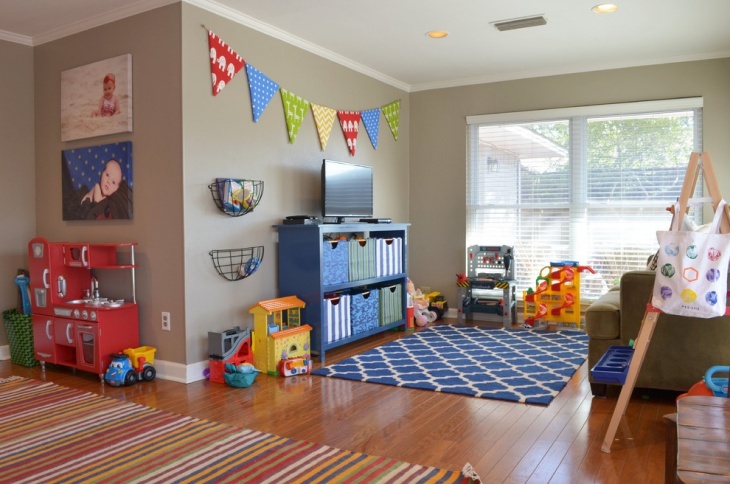 You can create a playroom that will appeal to your toddler. 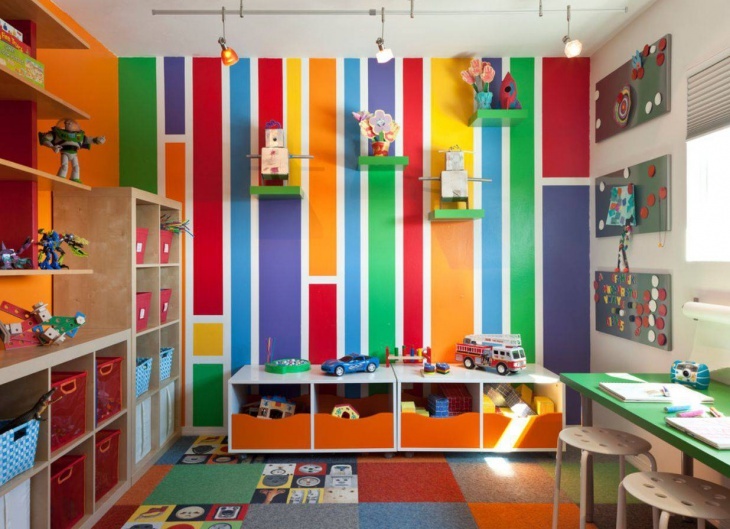 You can design the playroom after a certain theme or you can choose a more general setting with colors and interesting looks, suitable for your kid’s adventures. You need a place well organized that can be altered in the future. 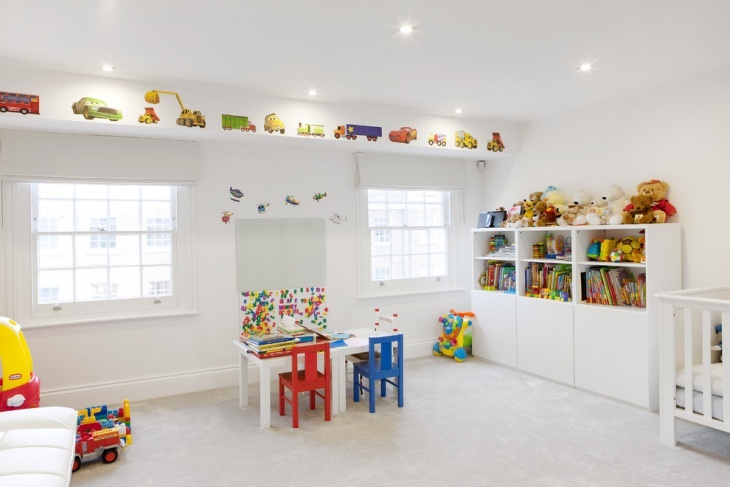 In this article we have chosen to show you 10 toddler playroom ideas that might help be of help. Choose furniture that will provide you with plenty of storage space. 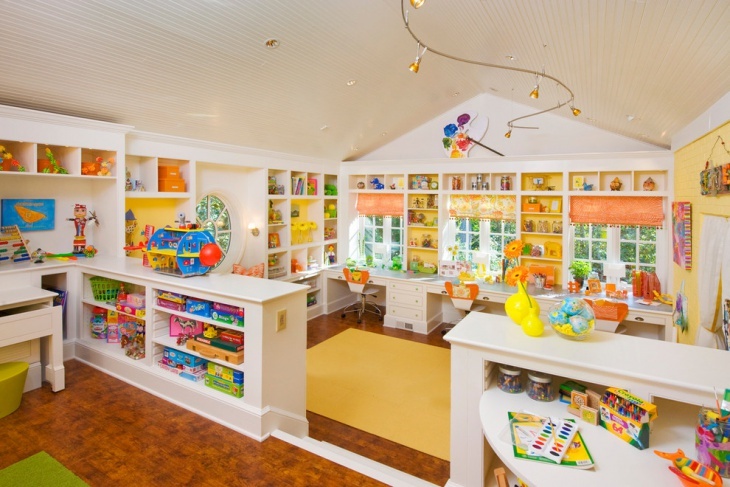 This way you can have an organized playroom for your kids. Like this traditional toddler girl playroom with cream white cabinets that match with the carpet. Bright rooms tend to look bigger. 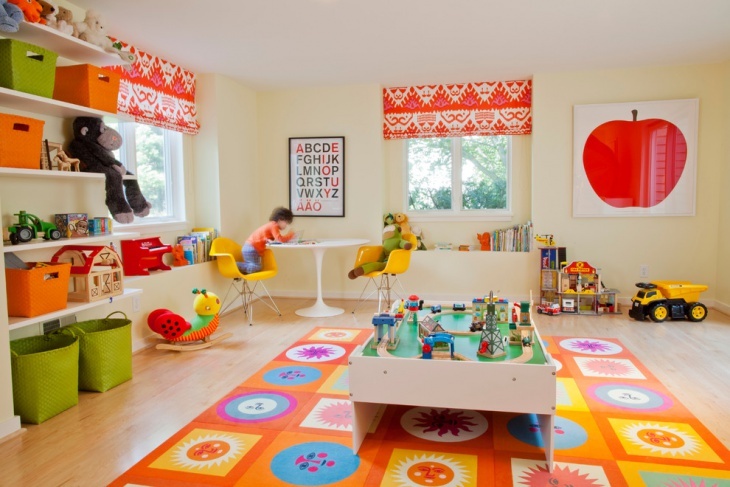 In case your kid’s playroom is small, choose to style the room in white. The colorful toys will always catch your kid’s attention. 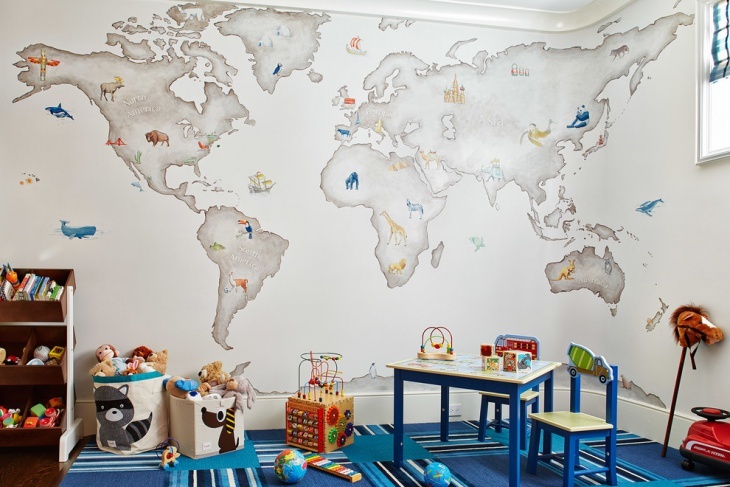 You can use a wall art design for the playroom walls. A creative one is this world map design. You can combine a fun theme with an educative subject. A fun table is needed for a toddler’s playroom. This is where it can build castles or play with its toys. You can even make it on your own with a simple table, some duck tape and toys. Storage space is needed in a kid’s playroom. Every toy should have a place for safe storage. An organized room will be easier for cleaning. 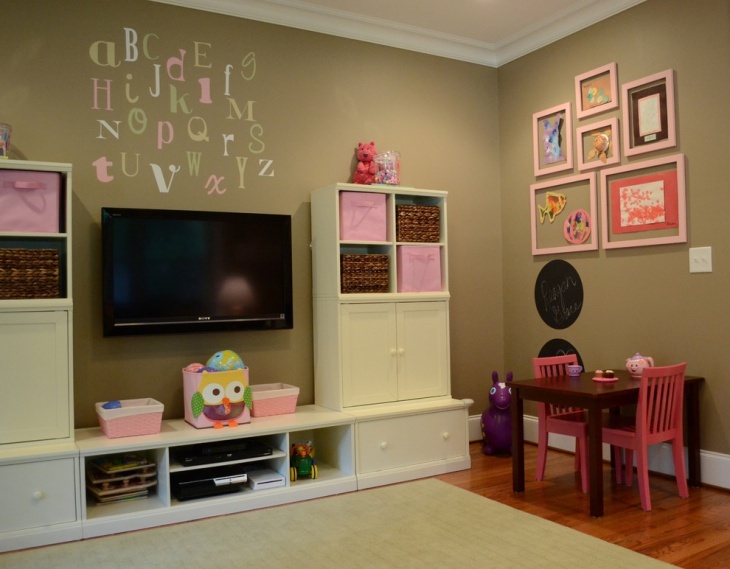 Wall decals are a fun way to decorate the playroom’s walls. You can use it instead of wallpaper and you can find it in a variety of sizes and colors to create patterns and scenes. You can style the room with colored chairs. 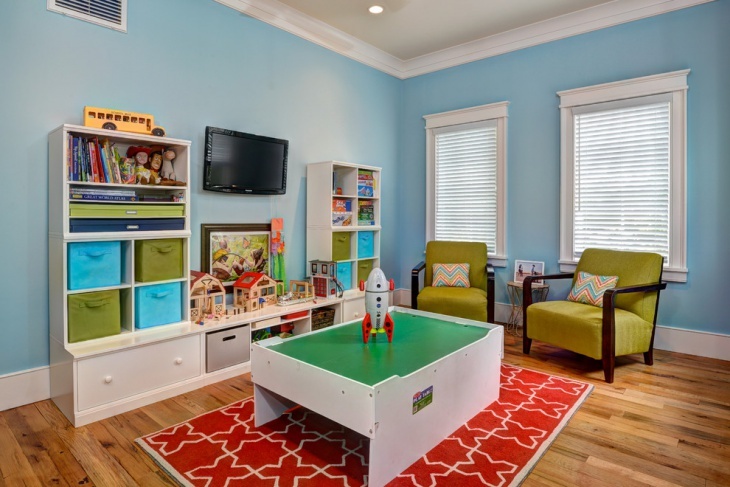 Like this traditional playroom, the light blue chairs blend in with the white table. The color scheme should reflect on your kid’s tastes too. The bright colors are chosen mostly by kids so don’t hesitate to be creative. 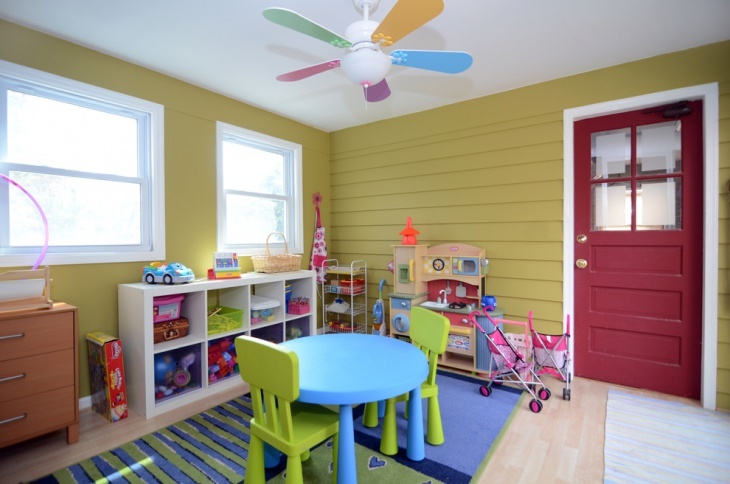 In this boys playroom the blue and green are matched in a beautiful beach style space. 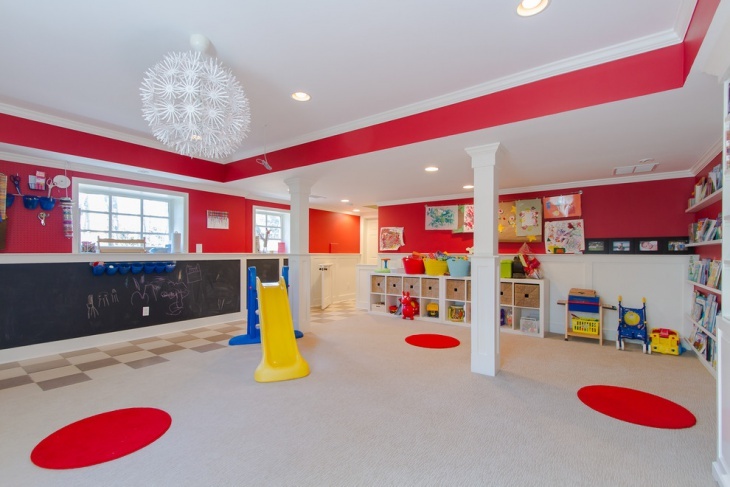 This modern playroom is decorated with a playground theme. You can use a big chalkboard to line a wall that will allow your kids to express their creativity. You can keep the storage space along the walls and leave the middle free. 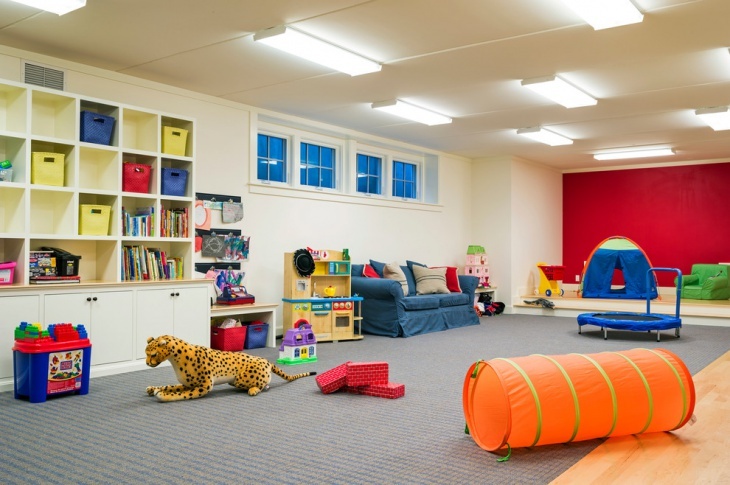 A playroom can be designed in many styles. Having in mind that the room should be safe for your toddlers, you can style it with colors and textures that will bring pleasure to both your kids and you. You have to design the space in a way that allows for plenty of storage space to keep it organized and clean. Decorate with colorful furniture or carpets, or invest in interesting wall art. Also you need to think ahead about the changes you can do in the future as your kids will grow older. Kids love playing and have many toys. 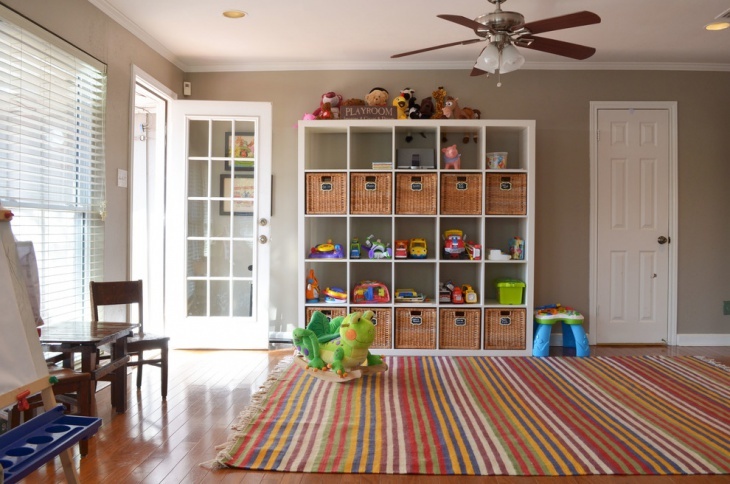 Having a playroom will keep these toys in one place, organized, and a safe room for your kid. You can style the room to reflect both your style and your kid’s character, making it the play heaven where they can always be themselves.